Christmas Season in Stockholm | eat. live. paleo. Christmas decorations are appearing all over the city. I am looking forward to seeing all the festive lights, the locals say the city gets absolutely decked out in fairy lights/lights of all kinds leading up to Christmas. 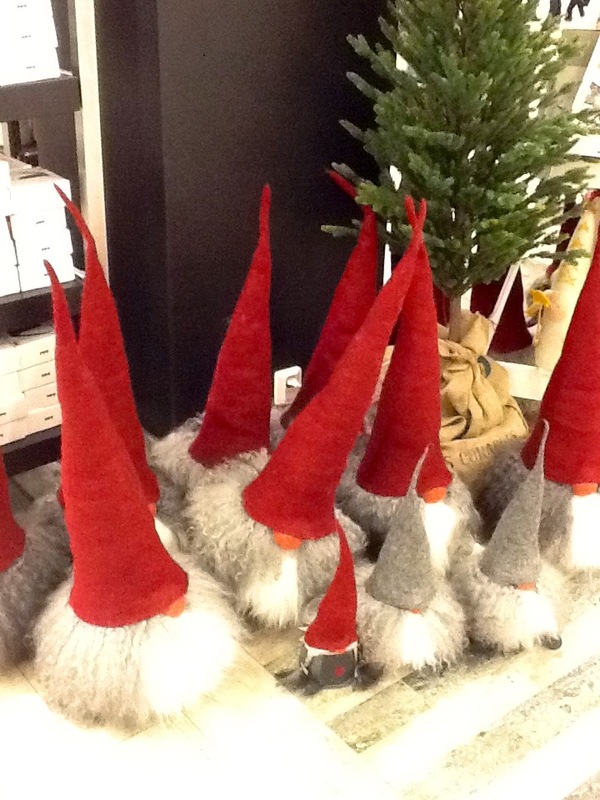 My favorite Swedish Christmas item so far are these… elves? Santas? Tomtens? I don’t know what they are, but they are adorable and I love them! They are also on sale all over the city. I really want one (one of the big ones), but David says that it will not fit into our suitcase to take home… alas, perhaps a small one for our first Swedish Christmas?